Many varieties can be purchased. 1. Field productions have produced their own lighting problems. differences in light level and lighten up the shadows. way of reducing shadows (fig 4-22). They redirect light to the subject. as well as sunlight can be reflected. more prominent than a long shot. 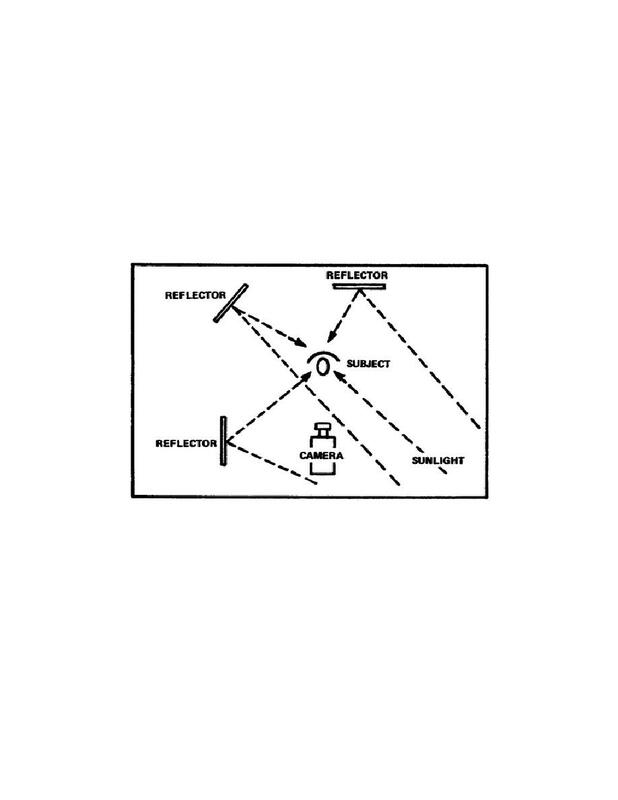 reflected area, any movement of the reflector is magnified.